Do you ever go through phases where you just want to eat the same thing over and over again? Kind of like when you find a new favourite song that you listen to for hours and hours on end. Well… that’s how I felt after listening to Despacito and also how I felt after eating the yummiest joojeh, juiciest koobideh and tastiest chenjeh with ultra buttery rice and creamy white sauce at Mahdi in Hammersmith. Mahdi is over an hour away from where I live, and I never thought I’d go all that way “just” for Persian food. Little did I know that this trek across London way back in August, would spark the return of my Persian food obsession! 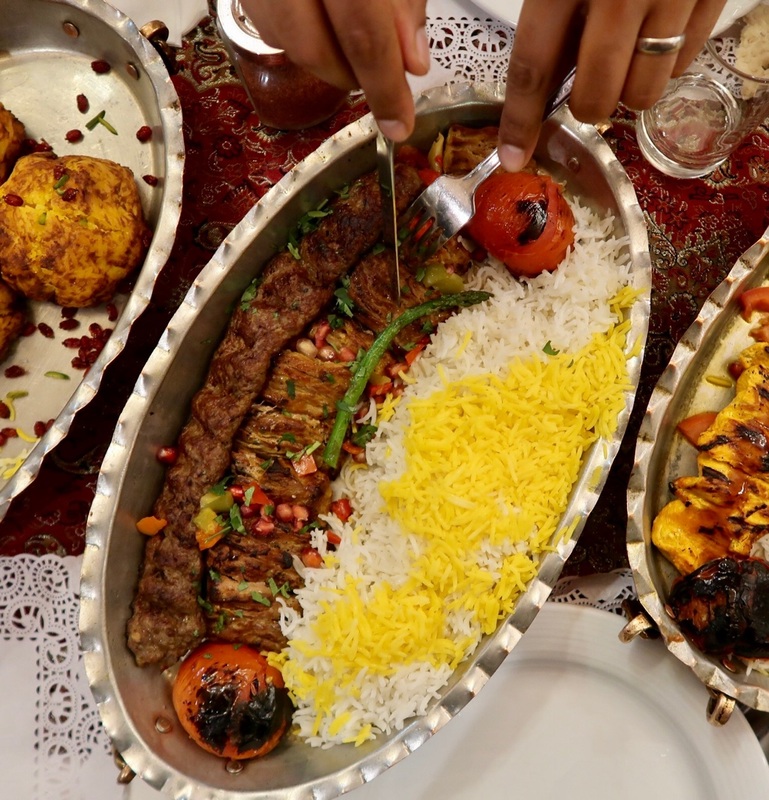 I’ve been having Persian food super regularly ever since and I still can’t get enough! 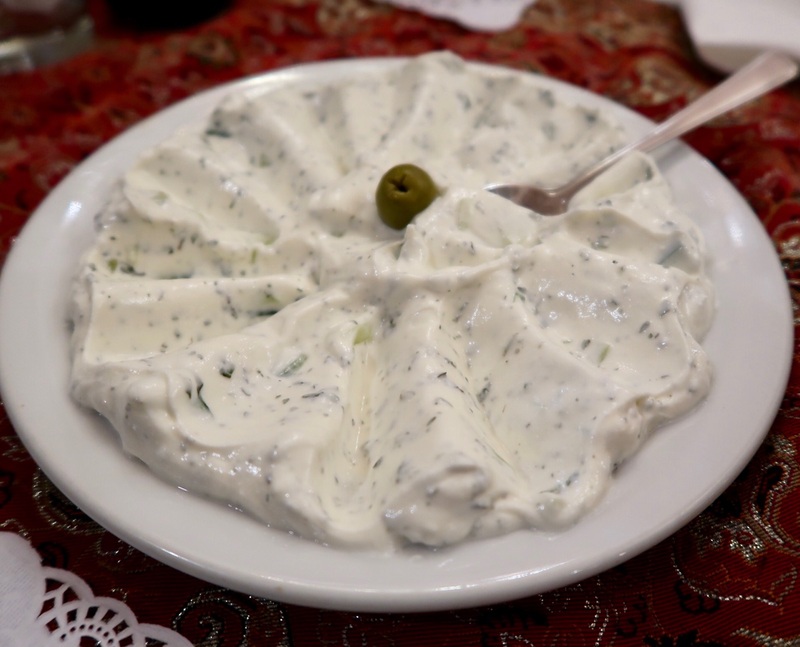 Yoghurt mixed with finely chopped cucumber and ground mint… great to dunk into their house sesame bread! 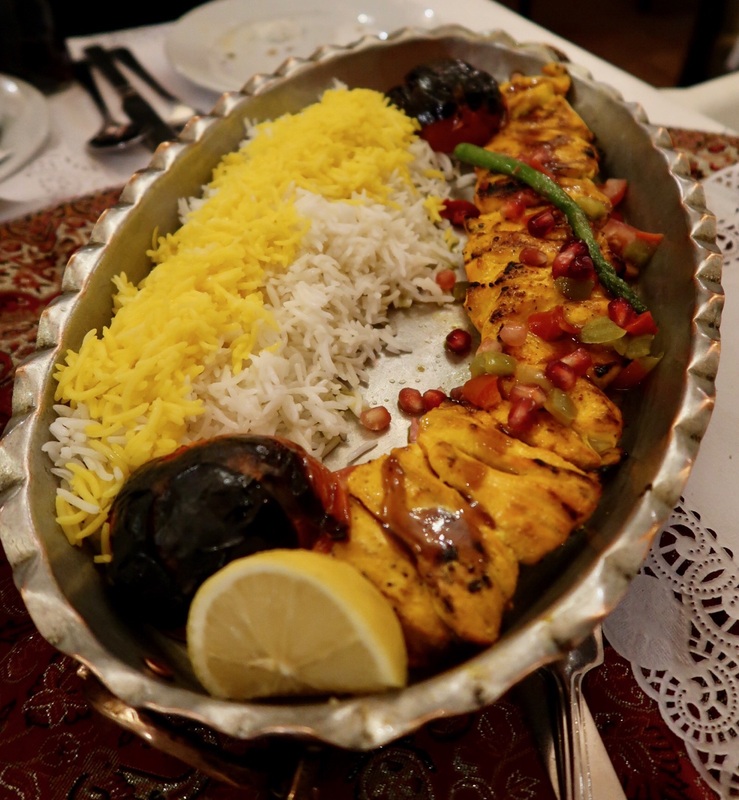 The joojeh, as you may know if you’ve been keeping up with my Persian reviews, is my faveee. 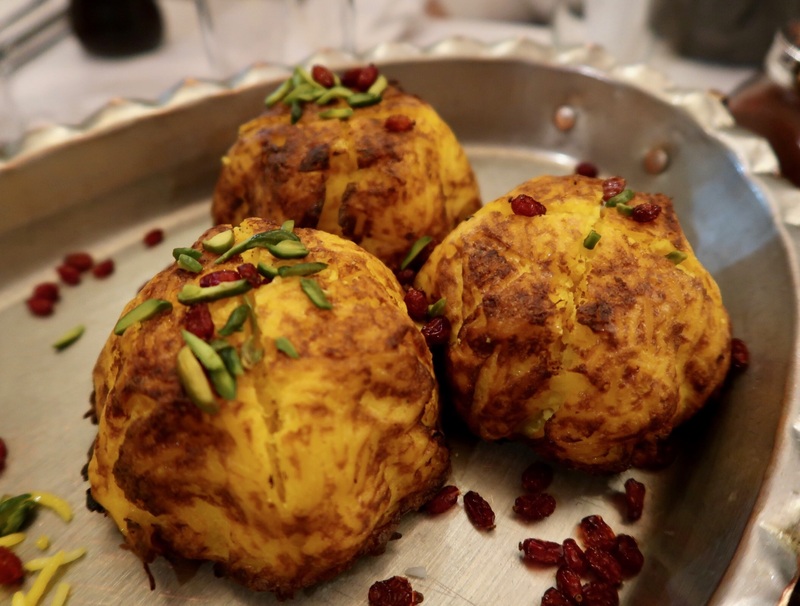 Mahdi’s joojeh is so juicy and succulent, it has a punch of flavour and has that delicious slight lemony zing that I love. It’s the best!! The rice that comes with it is really fluffy and tastes incredible with a blob of melty butter on top! Tahchin is a persian rice cake and I’ve been drooling over pictures of it after watching a video all about it on YouTube! I was excited to finally try it but unfortunately I wasn’t a fan. The chicken is very bland and the texture of the rice was a bit crumbly (like a cake) and it just didn’t appeal to me. This dish consists of koobideh & chenjeh. Koobideh on the left and chenjeh on the right. 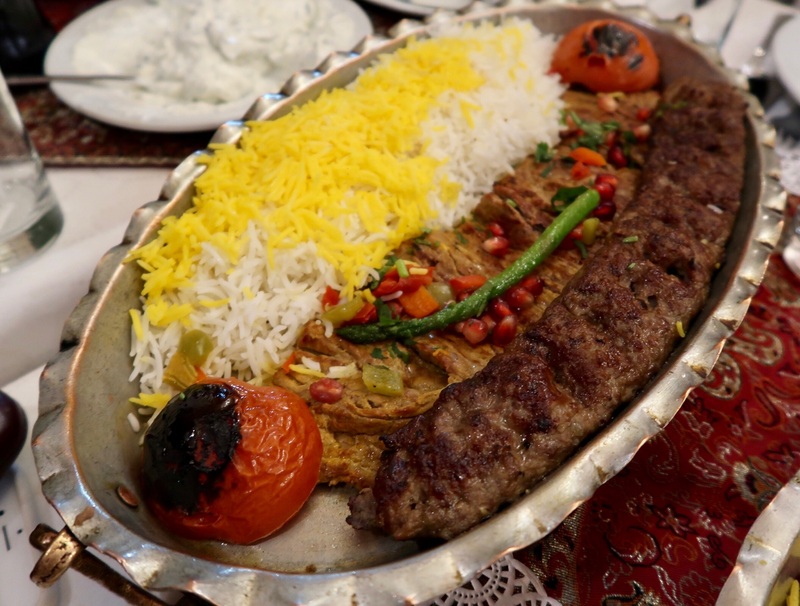 Koobideh – A meal at any Persian restaurant would not be complete without koobideh… Iran’s signature kebab! Mahdi aced it and it was delicious and flavoursome. 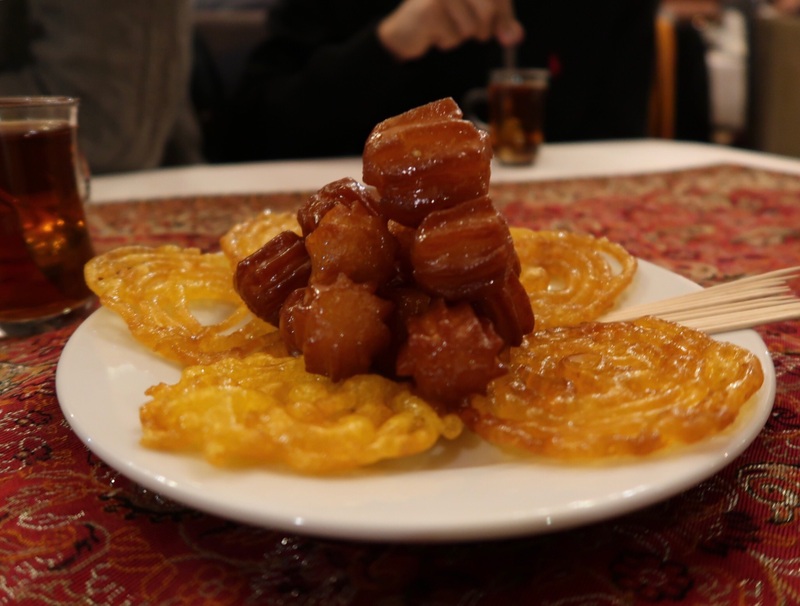 Chenjeh – I don’t usually order chenjeh but my uncle did and I decided to have a bit of a taste. And when I say “taste”, I mean I had half the kebab because it was such a show stopper! Chenjeh is pure juicy meat. It’s not chewy, nor fatty… it’s soft, tender and so good! A new favourite for me! This dish consists of koobideh and barg. Barg is a flattened fillet of lamb and it’s absolutely delicious. Mahdi’s version is super succulent, with a nice amount of salty seasoning and a lovely touch of that slight smoky char grilled flavour. Barg on the left and koobideh on the right. We ended the night with some comforting Persian tea and Persian desserts. Zulbia bamie is basically fried dough drenched in syrup. It was too sweet for me and I have a big sweet tooth so be aware of that! As you can see the portions at Mahdi are HUGE and great value for money as you definitely have to share! I’d say 2 dishes between 3 would fill you up very well. It’s honestly hard to fault Mahdi’s dishes as they are that good! 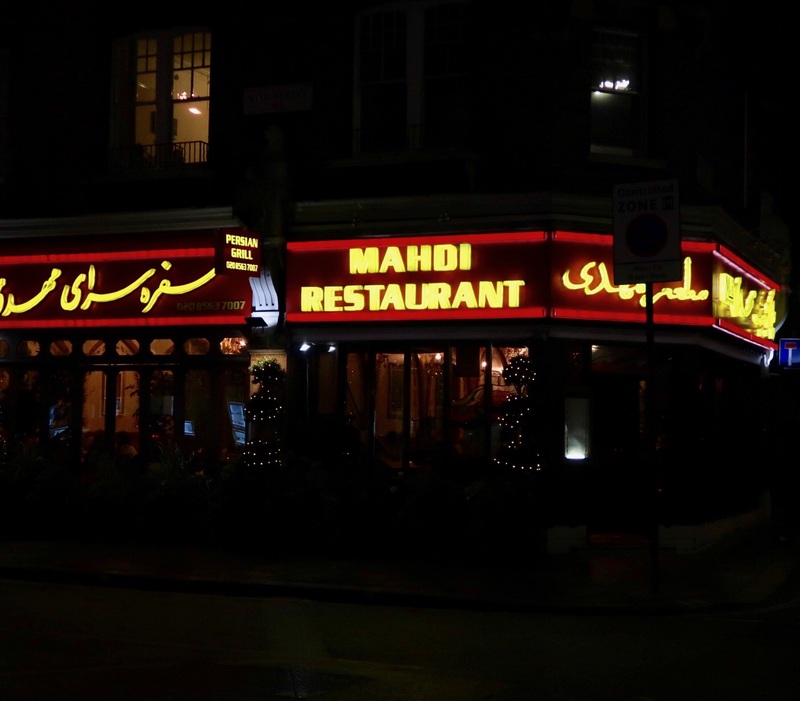 It has become my favourite Persian restaurant in London (although this sparked a huge debate with some of my family members who are Patogh and Alounak lovers)! I would highly recommend you visit and let me know what you think! 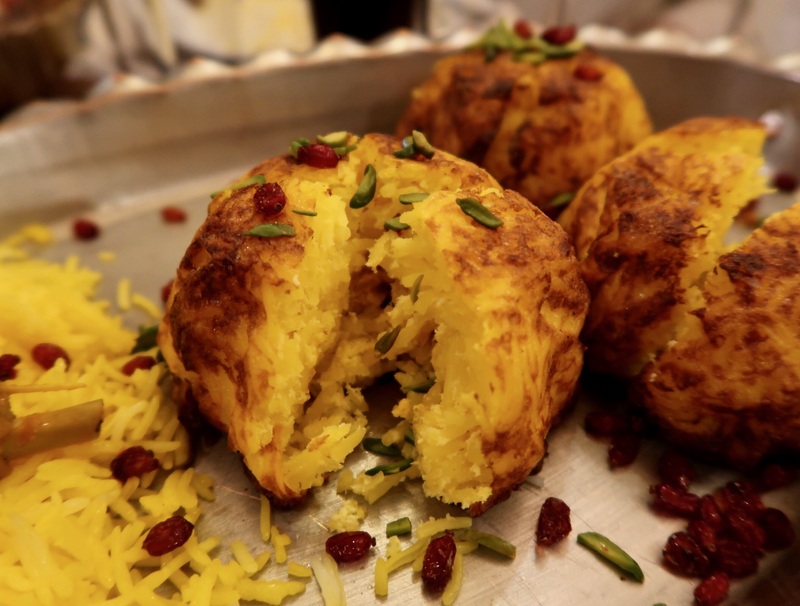 What’s your favourite Persian restaurant? Tell me in the comments below!